Bout #25: Pixar’s latest vs. a documentary of a one-man show. Hmm. Don’t think we’ve done that yet. 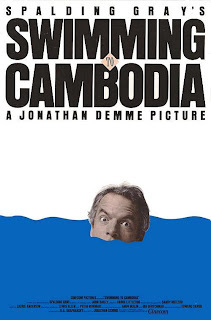 Swimming to Cambodia: This is a not a documentary. 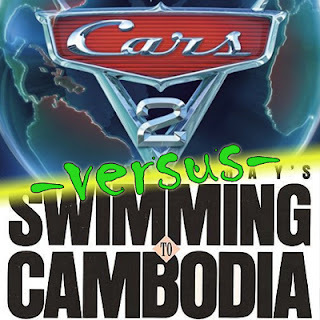 It’s a documentary squared. 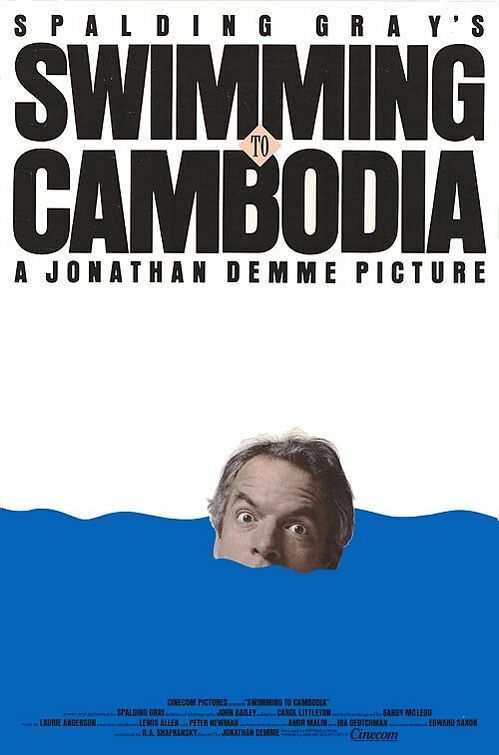 It’s a movie documenting a one-man show by Spalding Gray in which he takes you on a cerebral roller coaster, touching on Asian politics, how to buy and treat a Taiwanese whore and how to talk to people on trains. It’s funny, intriguing and he speaks in the style of a boxer who refuses to let you up off the mat, pounding you with sentences so well constructed, I’m reasonably certain he has every word of the entire 87 minute monologue in its proper place and nails it perfectly each time. Or at least this time. So how interesting can a movie shot solely of a man sitting in a chair behind a very plain desk be? Well, about as interesting as the performance. Which was about as good as I’ve ever seen. But not enough to make you realize it’s just a guy sitting at a desk. 7 bugs.